Let’s face it, since emotions are the primary driving force in most life decisions, what could be more personal than the moment your donors decide to make an online gift. However, if you’re not “there” and easy to find — opportunity lost. Alumni and donors have learned to anticipate your institution’s campaigns. Will it resonate with their beliefs and values this time? Perhaps not, but your presence on social media is ubiquitous – etched in mind, felt in heart, that key moment a feeling transforms to a gift ! Yes, your digital strategy is indispensable, the pulse of your brand, inspiring what prospects think and do. 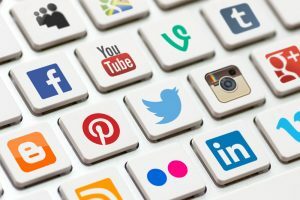 Find out how to append your constituent data across the digital landscape with Facebook, Instagram, Google+, Twitter, LinkedIn, YouTube, and many others.